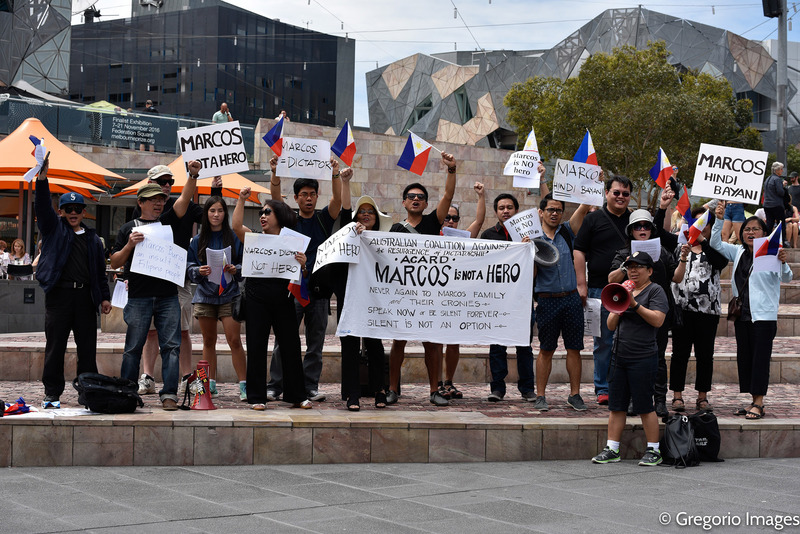 Filipino Australians are staging a protest action on Sunday, November 27, 11:30 am at the First Fleet Park, Circular Quay, The Rocks, to express their outrage over the sneaky burial of the Dictator Ferdinand Marcos’ waxy remains last November 18 at the Heroes Cemetery in the Philippines. In their Statement, the group called Australian Coalition Against the Resurgence of Dictatorship (ACARD) in the Philippines, called the burial, complete with 21-gun salute as an ‘assault on our people’s historic struggles against tyranny’. Ms. Sollano-Elteibi has also said that concerned families will be at the rally to highlight the participation of the young generation and the ‘millenials’ in the growing people’s power against the resurgence of Marcos dictatorship. 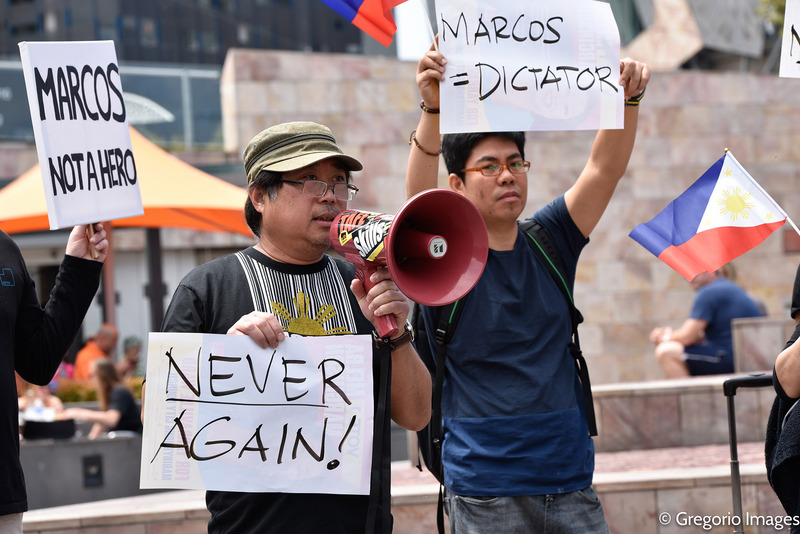 The protests at the sneaky burial of the Dictator Ferdinand Marcos have come thick and fast since his waxy remains were hurriedly hidden at the Libingan ng mga Bayani. Those who fought the dictatorship were arm-in-arm with the Millenials who learned the lessons of the past, both outraged at this latest assault on our people’s historic struggles against tyranny. Freedom-loving and democratic Filipinos and their friends will now work ever harder together, through thick and thin, to tell the true stories of our struggles and to correct the machinations of the Marcoses and their co-conspirators to revise history and rehabilitate their evil legacy. The Marcoses and President Rodrigo Duterte are clearly colluding, thick as thieves, to revise history and rehabilitate dictatorship. 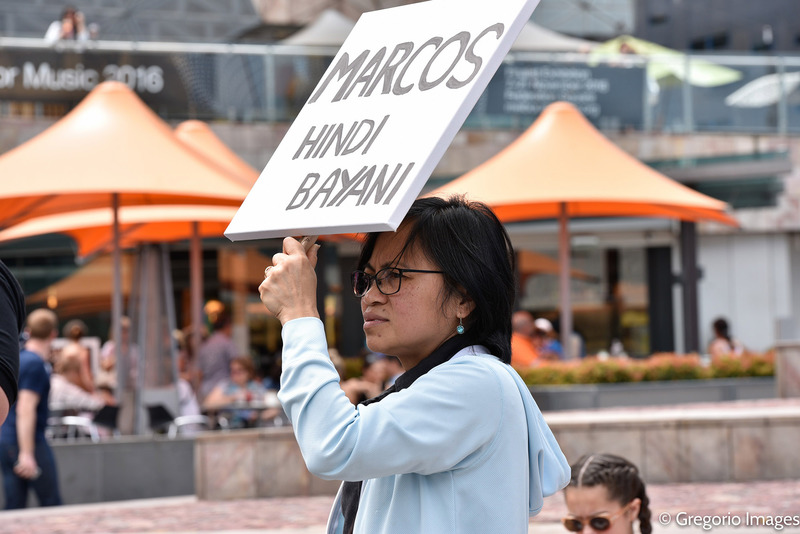 The burial of the thief Marcos like a thief in the night is the latest step towards negating his ouster by People Power in 1986 and paving the way for the ascension of his namesake son as new ruler, the new patriarch of a revitalised Marcos dictatorship. With the thickest of skins and the thickest of skulls, they ignore and insult the thousands and thousands of Filipinos harmed by their legacy; they merely seek to resume their elite fascist rule, wishing to perpetuate the continuing ills of agrarian and industrial injustice, of sham independence, and national historical amnesia. Let our ranks be thick, our solidarity supreme, in the coming times of a resurgent resistance needed now more than ever.